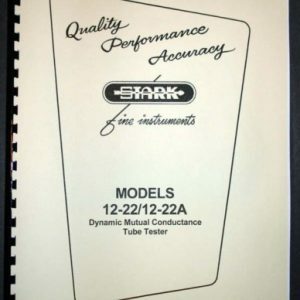 For sale is reprint of STARK Model 10-A R.F. 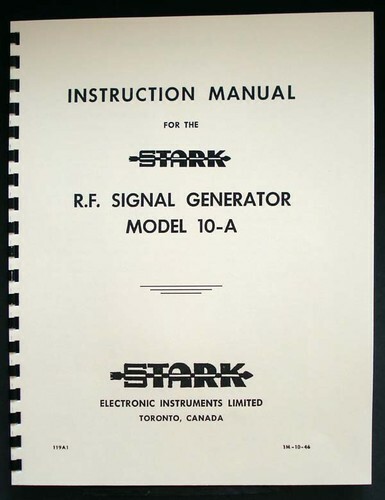 Signal Generator manual. 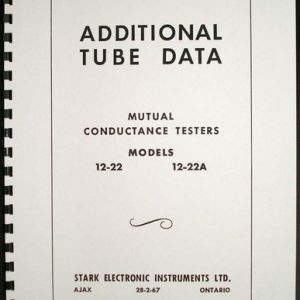 Manual is a 14 pages long including 11″x17″ foldout of schematic, Dated 1946. 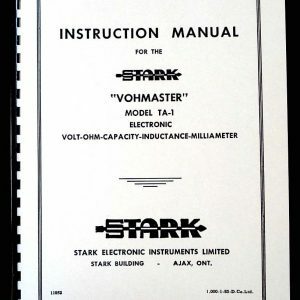 Manual covers: General Description, Panel Controls, operating instructions, Troubleshooting Receivers using R.F. 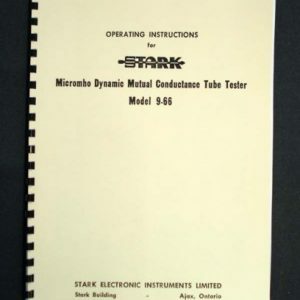 Generator, Maintenance.